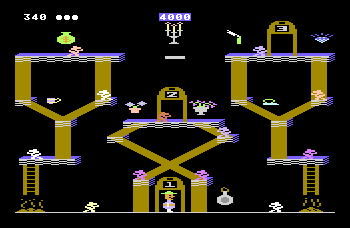 One of the best platform games on the Commodore 64. Bounty Bob Strikes Back is definitely hard. Very hard. If platform games are your thing, then BBSB will eat your time away.